‘This commissioned art work ‘Westgate Bridge Experience’ has great visual impact, featuring familiar landmarks of the area such as the Westgate Bridge, the Maribyrnong River and the Sun Theatre.. It immediately connects our clients to Melbourne’s West. 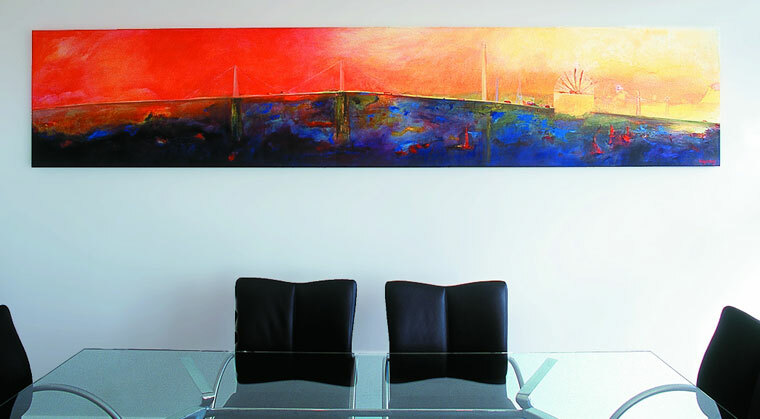 A response to site specific requirements, this commissioned artwork has become an icon for our business. This entry was posted in Architecture and tagged NICHOLAS SCOTT on May 30, 2011 by admin.